The US stock market is up more than 140% since its lows in 2009 . However, US joblessness is also high. The twin deficits (Budget and Trade) have resulted from growing income disparity and offshoring high paying manufacturing jobs from the US. Questions also arise about the QE policies of the Fed. During the great depression of 1930, John Maynard Keynes came up with the idea that in order to stimulate the economic growth, government needs to do its spending to compensate for decreased spending of unemployed and underemployed . One important difference between the US economy of the 1930s and that of today is that during the former the US did not have a huge National Debt of 16+ trillion dollar. There existed no credit cards prior to the great depression. Hence, Americans in past had the habit of saving money or spending their real wages. The concept of ‘Living beyond means’ rarely existed during the era of Great depression. It is the US monetary policies since Reaganomics that have led to consumers living ‘beyond their means’ and the existence of institutions that are ‘too big to fail’ . The monetary policy of the US since the 1980s has been such that wages of Americans have trailed their real productivity . Since wages contribute to consumer demand and productivity attributes to supply of goods into the economy, the supply side economics put forth by Ronald Reagan’s economic advisors have significantly increased the supply of goods into the economy but has not let the wages of Americans catch up with their productivity . Now, the US Fed has played a key role in continuing this monetary policy. As a result of this monetary policy, the Fed has lured Americans to borrow money in order to maintain an artificially high standard of living. Americans have mortgaged their houses, mortgaged their cars and are living on a huge pile of consumer debt. The government has so far encouraged Americans to remain indebted by lowering the rate of interest on their home mortgages. While businesses have been able to reap huge profits, the consumer debt of Americans has been growing exponentially. Without a rise in demand from increased consumer borrowing, the excess of supply of goods would have remained unsold. If consumers do not buy manufactured goods, manufacturers would have to lay off employees if their warehouses begin to stock pile inventories . The question is, how has US been able to sustain this model for so long and can US sustain it any longer. After the Second World War, the US was the only developed country which had not experienced the war fought on its soil. Hence, while the war damaged and devastated economies around the world, the US economy benefitted from World War II. Firstly, the war enabled US citizens to get employment in factories which produced munitions for their European allies . The US got paid back from its European allies in the form of Gold. After becoming the global nexus of Capitalism, the US was able to dominate the world. US gold reserves grew from the gold it received from its European allies . Also, the US government, under presidency of Franklin Roosevelt, accumulated gold from its domestic citizens by making it illegal to withhold gold . As a result of above two policies, US became the world’s largest holder of gold reserves. After the WW2, a system similar to a gold standard, sometimes described as a “gold exchange standard”, was established by the Bretton Woods Agreements . Under this system, many countries fixed their exchange rates relative to the US dollar and central banks could exchange their dollar holdings into gold at the official exchange rate ($35 per ounce). This option was not available to firms or individuals. All currencies pegged to the dollar also had a fixed value in terms of gold . As US became a global nexus of capitalism, US-based multi-national corporations (MNCs) influenced ‘Free Trade’ agreements between member nations in order gain free access to the markets and increase their consumer base . Free trade implies no import duties imposed on goods imported from abroad. Since USD was the global trade currency the system needed the countries around the world to have reserves of USD in form of foreign exchange (FOREX). These FOREX reserves determined the buying power of currencies. US also owned huge FOREX reserves of member nations and in this way exercised control over their domestic and foreign policies . Over years the countries destroyed in world war gained their economic footing and their economies grew. However, As a result of ‘Free Trade’ MNCs in US continued to offshore manufacturing jobs to low wage countries in Asia . Semiconductor jobs were the first wave of jobs to be offshored in 1960s to Japan . There was a phenomenal growth of Japanese exports during the 1960s and 1970s. Beginning in 1960 at US$ 4.1 billion, Japanese merchandise exports grew at an average annual rate of 16.9% in the 1960s . The growth in Japanese exports was from Japanese government push to increase productivity and also because of growing demand for Japanese products as United States and other foreign markets grew and trade barriers in major market countries were reduced on account of General Agreement in Tariffs and Trade (GATT) amongst member nations . Due to price competitiveness of Japanese products imported into US without import duty, US trade deficits with Japan started to soar in 1960s due to growing year over year trade imbalance. Lyndon B. Johnson enacted across the board income tax cut by 20% as part of United States Revenue act of 1964 by lowering the size of the federal budget as John F. Kennedy was unable to pass this bill as he did not lower size of federal budget . Due to lower revenue earned from income taxes, US budget deficit also started to grow as a result of revenue act of 1964. These combined deficits resulted in Balance of Payment deficits where the net cash inflows were lower than the net cash outflows from US starting from 1960s. In 1971, gold was re-priced to $38 per ounce, then again to $42 per ounce in 1973. The Balance of Payment deficits and resulting depreciation in value of USD motivated people to sell their greenbacks for gold. The imbalances caused gold to flow out of the US and a loss of confidence in the United States ability to supply gold for all future claims by dollar holders . Finally, in late 1973, the U.S. government decoupled the value of the dollar from gold altogether. This move caused price of gold to quickly shoot up to $120 per ounce in the free market. While decoupling of USD from gold allowed US to run more deficits and print its currency to balance those balance of payment deficits, it continued the government policies of trade and budget deficits. While USD unpegged from Gold standard, it continued to be a global trade currency. All countries started printing their own currencies which resulted in inflation but as a result of printing more currency, the wealth creation increased and so did the economic growth increase. It needs to be noted that Bretton Woods system of Gold standard ushered in a period of high global growth with over 4% annual growth in GDP in US, known as the Golden Age of Free market capitalism. However, it came under pressure due to the inability or unwillingness of US to maintain effective capital controls and due to instabilities related to the central role of the dollar. These instabilities were a result of failure of US to trim its twin (trade and budget) deficits which resulted in gold flowing out of the US and a loss of confidence in the United States ability to supply gold for all future claims . In order to retain the gold standard, US should have restored a balanced economy to have effective capital controls and eliminated its budget and trade deficits to stabilize the dollar. Decoupling USD from Gold standard was verily the root cause of growing disparity in US and it also transformed ‘Free Market Capitalism’ to ‘Crony Capitalism’. The whole reason USD was pegged off Gold standard was to print currency inspite of running large Balance of Payment deficits. It was done to keep offshoring jobs from US to Japan resulting in trade deficits and to lower taxes across the board resulting in budget deficits. Since USD was no longer tied to Gold standard, a lot more USD was printed in order to sustain the twin deficits which resulted in rising inflation. The unemployment of US workers due to offshoring of jobs resulted in decrease in domestic consumer demand. Hence, United States economy experienced a decade of rising unemployment and inflation (known as stagflation) under the Political pressure favored stimulus resulting in an expansion of the money supply to sustain the twin deficits . When Ronald Reagan came into office in 1981, he promised to revive the US economy from Stagflation by enacting huge tax cuts for richest Americans and Corporations. These policies are commonly associated with supply-side economics, also referred to as trickle-down economics by Reagan’s political opponents. However, Reagan’s policies resulted in budget deficit rising from 2.5 percent of GDP to over 6 percent of GDP . To reduce budget deficit for his re-election, Reagan increased payroll taxes in 1982 by promising Americans that the revenue would be used for Social Security trust fund. However, the rise in payroll taxes went towards paying for budget deficits from tax cuts enacted by Reagan. This burdened small businesses and entrepreneurs as self-employment tax jumped as much as 66 percent . Reagan’s 1986 tax cuts resulted in wealthiest faced a 28 percent tax rate, while those with lower incomes faced a 33 percent rate; in addition, the bottom rate climbed from 11 percent to 15 percent . This was the beginning of the untouchable privileged class due to ‘Crony Capitalism’ and the end of confidence in the American Dream (the idea that wealth and privilege are attainable by anyone who works hard). As of today, US have an annual budget deficit of 400 billion and annual trade deficit of 600 billion. During the Reagan years, US trade deficit started to increase at a rate not seen in the last 60-70 years. The Reagan administration then had to pressure Japan to sign the 1985 Plaza Accord to devalue the U.S. dollar at the expense of the Japanese yen in order to increase U.S. exports. As a result of yen’s appreciation, Japan experienced an economic crash and lost a decade of growth . The Nikkei average went up to about 39,000 in December 1989, but after the crash it hovered around 15,000 during the lost decade of the 1990s. In the last several years it has dropped even more, hovering around 10,000 . Today US is running a great trade deficit with China. US has been able to sustain these twin deficits by printing its currency being a Global Trade currency. However, China has expressed reluctance in increasing its currency (Yuan) compared to USD after looking at fate of Japan from Yen appreciation because of Plaza Accord in 1985 and resulting economic crash. While USD has been printing its currency in order to sustain its twin deficits, excess money printing has also been depreciating the market value of USD in terms of U.S. rate of interest. Federal Open Market Committee (FOMC) makes key decisions affecting the cost and availability of money and credit in the economy. The panel sets, or sets targets for, short-term interest rates, which in turn affect interest rates paid by consumers and businesses on various loans. Since the great recession of 2007, US Fed has been providing stimulus in form of monetary easing called Quantitative Easing (QE) to lure Americans into borrowing more and further indebting Americans in order to revive the economy. This QE program has been decreasing the short-term interest rates and hence US consumers have been able to mortgage their cars and their houses at lowest interest rates. While lenders have been able to offer lower rates to prospective buyers, the sustainability of this model is in question as interest rates cannot go below 0% and QE is not creating sufficient number of jobs to trim unemployment in US. With increasing borrowing by consumers, consumer debt is also rising and so is the National Debt rising. The National debt has already passed the debt ceiling twice and because of sequestration which was enforced by republican politicians, forced cuts are being made into government services like Medicare services which primarily affect the poor and destitute Americans . It is also leading to involuntary unpaid time off for government workers which are also called ‘furloughs’ . While ordinary Americans are suffering, bankers are continuing to enjoy their multi-million dollar bonuses . As shown in the Figure 1 below, it shows a trend of rate of interest on USD over years. With excess money printing, the US benchmark Interest rates today are close to 0% and would reach 0% by Jan 2014. Once US interest rates reach 0%, USD would have to devalue for any more QE. Additionally, Government will not be able to lure Americans into borrowing more to keep sustaining the economy. While devaluing USD might be considered good by proponents of offshoring, US should also take into consideration a combined 5 trillion in FOREX withheld by Russia and China . Why would US creditors like China and Russia withhold their combined 5 Trillion USD in FOREX reserves if they notice that USD is losing its value? They might consider dumping their FOREX into international markets before USD devalues any further. Such a move would overnight crash the USD and it would lose its status as a Global Trade Currency resulting in US economy going into a depression. The above analysis shows us that US has to eliminate its twin deficits sooner rather than later if it needs to retain its status as Global Trade currency. In order to avoid any Stagflation, economic reforms are needed so that ‘Crony Capitalism’ is transferred into a Free Market system where the Supply and Demand grows in proportion. Only when both supply and demand grow in proportion can money supply be increased without running either trade or budget deficit while still retaining the value of currency. Supply of goods comes from the productivity of people and demand comes from their real wages . Hence, when wages catch up with productivity, consumer demand catches up with Supply. In case of a centralized economy, wages can catch up with productivity only through a progressive tax structure like that existed in US during presidency of Dwight Eisenhower with 92% tax rate on richest Americans. However, if taxes have to be reduced on all Americans, then economy needs to undergo wholesome decentralization. Such a decentralized economy would reduce tax burden as majority of local taxes would go towards local economic development rather than going to center and letting the center allocate the funds to states. As we have observed that budget deficits arise from income disparity and trade deficits add to the income disparity, having an economic democracy would lead to rational distribution of wages in proportion to productivity. This system will still preserve incentive for hard work and lead to sustainable growth without running any deficits. Such an economic system that is based on economic democracy whereby supply and demand rise and fall in proportion and there is wholesome decentralization to minimize taxes on all citizens, is based on Progressive Utilization Theory (PROUT) . PROUT was put forth in 1959 by Indian scholar Mr. Prabhat Ranjan Sarkar. When economic reforms based on PROUT are implemented, the USD will have to reform its economy to restore Gold standard so that Government is not able to run any deficits. When a country’s currency is tied to Gold standard, that country cannot print its currency in order to sustain its deficits and every time there is a gap between supply and demand, local economic reforms would push the government to balance the supply with demand. Trade deficits could be eliminated by imposing import duty of cheap goods coming into US from countries with lower value of currency by installing fair trade instead of free trade. At the same time, there would be no import duty for trade with a country which has near equal value of its monetary currency. This would preserve domestic manufacturing jobs from being off-shored. 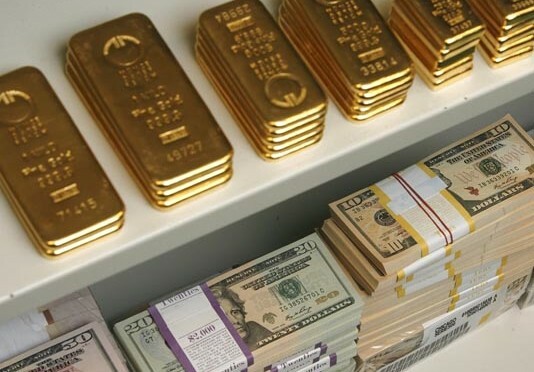 Additionally, countries which have their monetary currency tied to Gold standard would experience a very high demand for their currencies in foreign exchange markets. Hence, all other countries would want to do fair trade with US to accumulate USD as FOREX. Since there is limited amount of physical Gold present in this world, the only way to create infinite wealth is with shared growth and prosperity. A PROUT based economy shall not just ensure a shared growth and prosperity but it would also preserve the incentive to work hard. As wages catch up with productivity, the consumer purchasing capacity would be very high. Hence, such a progressive economic model would not just boost macro-economy but it would elevate the masses from poverty through micro-economic growth. Economic decentralization is very important aspect of PROUT based economy. With economic decentralization, there would be economic liberation of the masses. It would enable local people to elect local government which looks after the local needs and welfare of masses. The tax paying dollars of local residents would go towards the setting up infrastructure and creating employment and bettering lives of local people. As local people are more aware of their local problems and can do much better budgeting for their local communities, economic democracy would minimize corruption at local level as there would be more vigilance at local level. This would not just minimize the size of local government but also reduce the taxes on each and every citizen of the country. It would go a long way in preserving the local customs and traditions and let 99% Americans live a fulfilling life with dignity restoring an All American Dream economy. This would be a balanced economy and would not undergo stagflation inspite of having a Gold standard. Only a PROUT based economy would lead to infinite money supply in economy and still restore gold standard. In fact, Gold standard would force balancing the supply of goods with their demand thereby leading to auto-rebalancing of the economy. 1. Shell Adam, 2013. Calls for correction can’t derail mighty bull market. USA Today.org (May 15). 4. Mulay Apek, 2013. A Failure Analysis of the U.S. Economy. Truth-out.org (March 2). very nice. needs more research on this, so as not to do trial & error thing. this is about the whole world’s Economy were are talking about. maybe randon sampling needs to be in place too. nice one though keep it up. I was an entrepreneur a job creator that’s what makes the world work when people create jobs it gives other people incentive to have a better life. I never thought of myself I thought of others giving them work opportunities so they could have a good life. then horrible crime to my family of 12. American economic policies are based on greed, not something called American Dream Economy (obviously, it has been in the ‘dream mode’ for decades). While your article is thought provoking, it has missed out on an important aspect – CONSUMPTION/CONSPICUOUS CONSUMPTION. Your article seem to suggest that the demand must be driven up by increased real wages, no matter whether the demand is real or otherwise. Unbridled demand and consumption will lead to total destruction of quality of life all around and that is borne out of sheer greed. Americans still enjoy a standard (not necessarily quality) of life that is based on state subsidy that is again subsidized by the Fed busy printing notes). For America’s own benefit, there has to be at least one other International Exchange mechanism that can accept the new currency, gold as alternative payment. There is an artificial demand for the dollar that allows the Fed to run the busiest printing press on this planet (why can’t Zimbabwe operate on a zero interest, while the US, Japan, UK can print more notes, yet operate at almost zero interest rates?). It is a fact that most of the Central Banks are the slaves of Banks, the money printed go straight in to the banking system. Keynes theories did not envisage this, neither advised this, the theory was for the Governments to get on with Public Services that would produce real goods and services. This is what Adolf Hitler did to revive the German economy and it did revive and prosper for well over 5 years, until such time Hitler pondered too much in to the Treaty of Versailes and the lost territory of Germany. When the stocks sky rocket with sky rocketing unemployment levels, questions must be raised by all humans with a bit of common sense. It is not about white, black, yellow, brown – it is about humans, common people wanting to lead a decent life with dignity and pride. Crooks have taken over this world and greed is the mantra of such crooks. Housing bubble is just the beginning, only a segment of the economy that was bundled with excessive borrowing (not a real growth). Most of the world economy is riddled with this ailment, and for economists to think that Central banks can revive the economies doing the same thing across the globe, smacks of blissful ignorance and sometimes, arrogance!! Leadership alone can revive the economies, make the people happier living within their means and without excessive consumption, saving the planet and its scant resources. Whatever macro-economic problems the work may be facing, the gold standard is not a solution. That is the economic equivalent of geographers reverting to a flat earth map of the world. Having currency values and price levels determined by the supply and demand for gold is a recipe for instability. It needs to be noted that Bretton Woods system of Gold standard ushered in a period of high global growth with over 4% annual growth in GDP in US, known as the Golden Age of Free market capitalism. However, it came under pressure due to the inability or unwillingness of US to maintain effective capital controls and due to instabilities related to the central role of the dollar.With excess money printing, the US benchmark Interest rates today are close to 0% and would reach 0% by Jan 2014.Once US interest rates reach 0%, USD would have to devalue for any more QE. Additionally, Government will not be able to lure Americans into borrowing more to keep sustaining the economy.Hence, US Economy would go into a recession again. Additionally, US has to eliminate its twin deficits sooner rather than later if it needs to retain its status as Global Trade currency. USD will have to reform its economy to restore Gold standard so that Government is not able to run any deficits. If you read my article carefully, You will notice that Gold standard would force balancing the supply of goods with their demand thereby leading to auto-rebalancing of the economy instead of being a recipe for instability. Please read my article carefully and then post your comments.